Or maybe you want to put a ' Wanted ' Ad on here ? 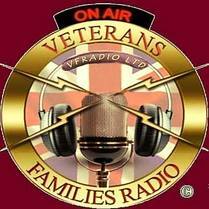 VFRADIO LTD© have no financial interest. And don't recieve any Commision or reward for this Free Service. This service is offered freely to ALL our Serving & Veterans 100% free of any charge, all adverts are done for Serving & Veterans of HM Armed Forces only. ​ VFRADIO LTD© bear no responsibility for what is offered for sale, and offer no guarantees what so ever. Goods can only be bought from the seller directly..
Full Sets of Military Magazines. ​Please check out Video Below. £3,895 ( GBP ) UK. ​ALL ADVERTS FOR VETERANS ARE 100% FREE.